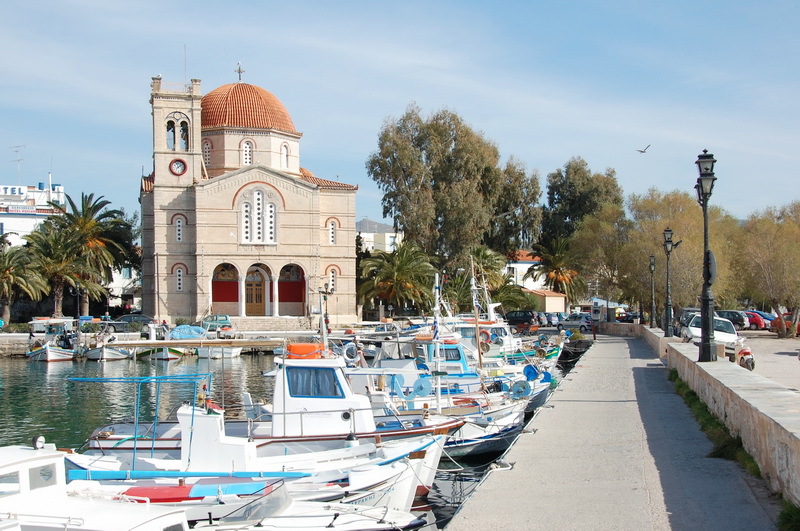 Aegina island, the largest of the Saronic Islands has a rich history. 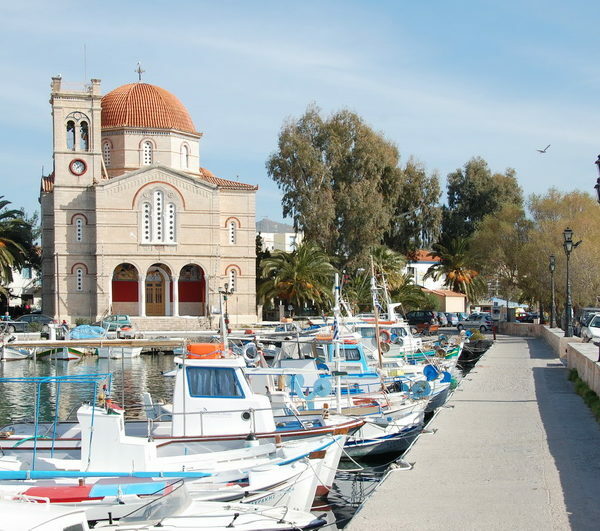 The capital,also called Aegina is on the west coast of the island and was also the first capital of Greece after the war of independence from Turkey in 1821. 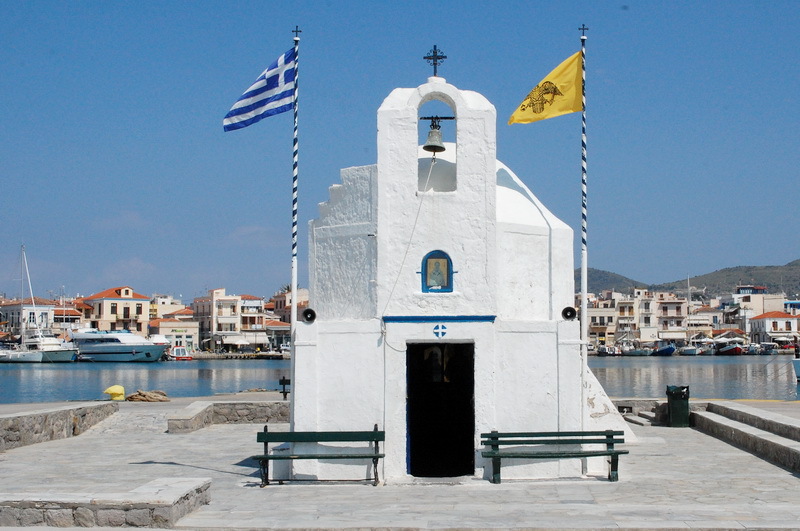 The beautiful neo-classical buildings along the port date from that time and the sunsets behind the chapel of Saint Nicholas,the seamen’s saint are spectacular. Exploring the town further the visitor will pass through a maze of picturesque houses,shops and tavernas with courtyards of colourful flowers and trees. 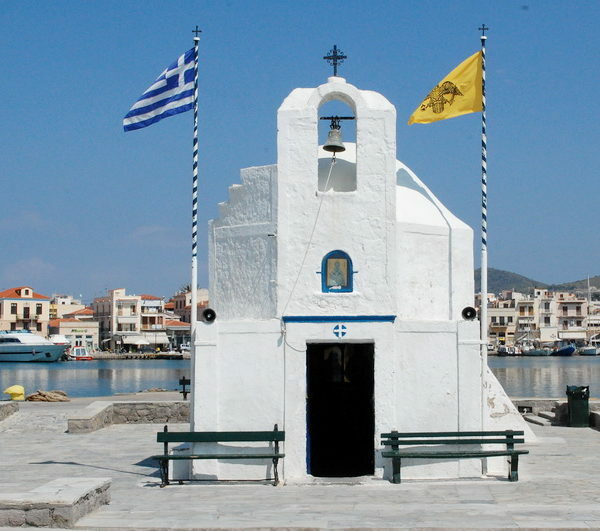 The island is also rich in places of archaeological and religious interest as well as beautiful scenery ranging from the pine clad hills of Aghia Marina through the mountain village of Anitsaio to the quiet harbour at Portes which makes it a walker’s paradise.For this reason the island has been home to many artists and writers, both Greeks and foreigners. 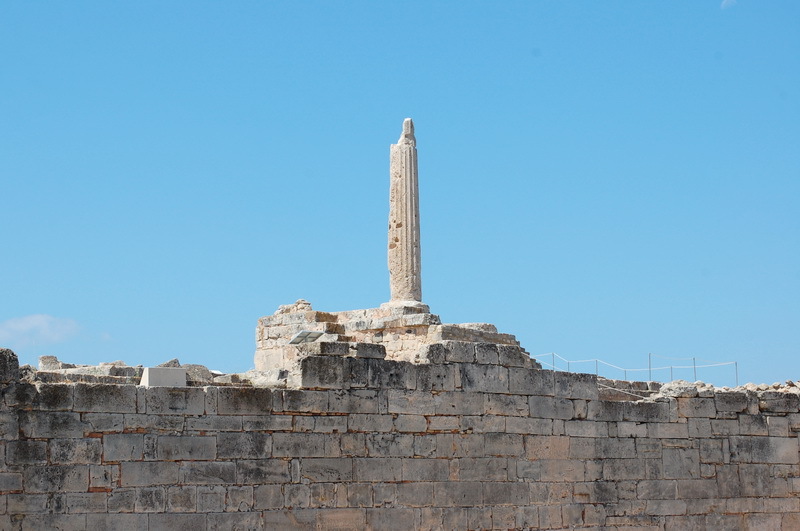 Situated on a hill overlooking Aghia Marina this Doric temple dates from c.500 B.C. and is one of the best preserved in the country. There is a small museum on the site. 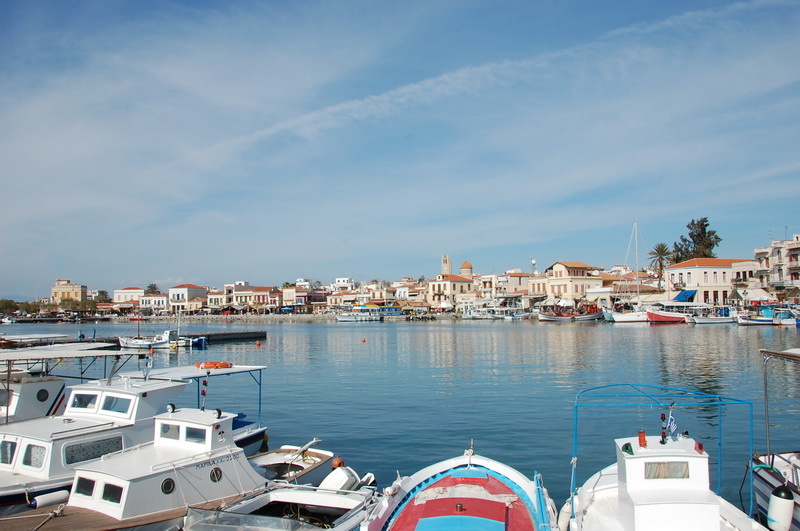 This archaeological site is located in Aegina town by the harbour. 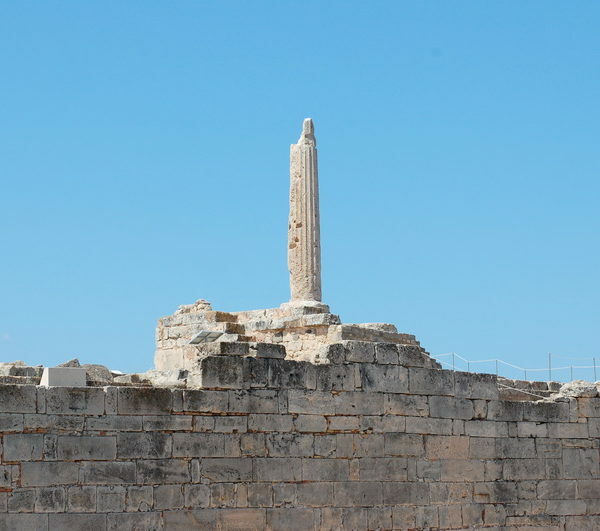 Apart from the one remaining column of the Temple of Apollo the site is also home to Aegina’s archaeological museum which has an extensive collection of artefacts found on the site and around the island. This can be found on Spiro Rodi Street in Aegina town in a building dating from 1828.As well as periodic exhibitions by local artists it also houses a permanent reconstruction an old island style dwelling. This is a small private museum,once the home of the sculptor Christos Kapralos (1909-1993) which is situated on the northbound coastal road outside the town.Opposite the museum,on the sea side, is his famous copper statue known as the seaman’s mother. This was the Byzantine capital of the island and is situated on a hill behind the monastery of St Nektarios in the village of Konto. It is now uninhibited but there are ruins of over thirty chapels and a citadel from the whole of the island can be seen. Located in Mesagros and now in ruins it was considered to be one of the best examples of island folk architecture and was much admired by archaeologists and architects alike. The convent of the Holy Trinity, 6 Kms from Aegina town was the home of Saint Nektarios in his later years. After his death in 1920 miracles occurred and in 1961 he was canonised. The impressive church on the roadside under the convent was built in his honour during the 1970’s and 80’s. This is located between the villages of Pacheia Rachi and Anitsaio and deals with the rehabilitation of injured birds and animals. A large area around it has been set aside as a wildlife reserve. 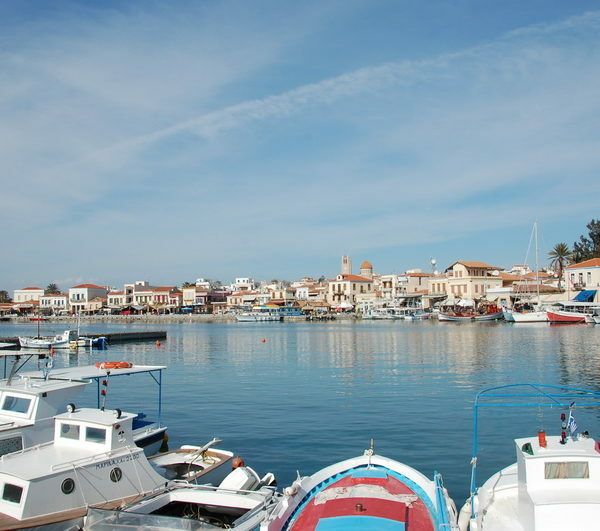 Aegina has ancient history and for this reason you will find many sites of archaeological and historical interest. From the cosmopolitan village of Perdika with its famous fish restaurants, a caique will take you to the uninhabited island of Moni for swimming and exploring. 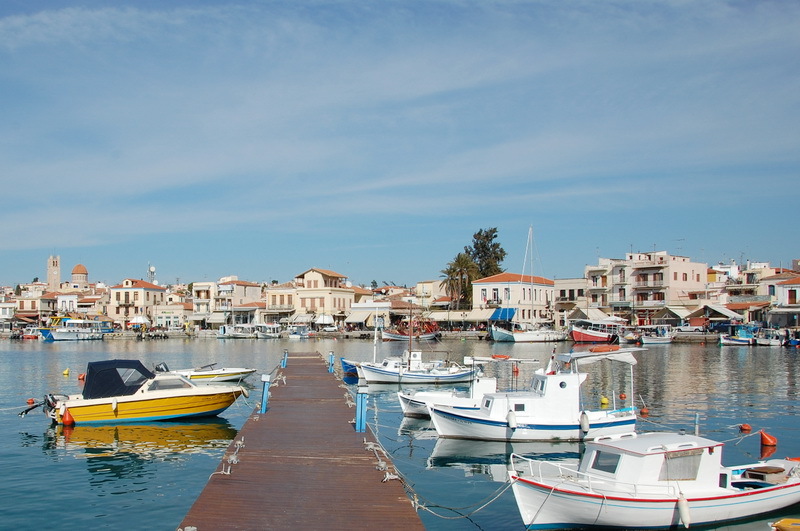 The small,green neighbouring island of Agistri is a perfect destination for a day trip with its picturesque villages and beaches. 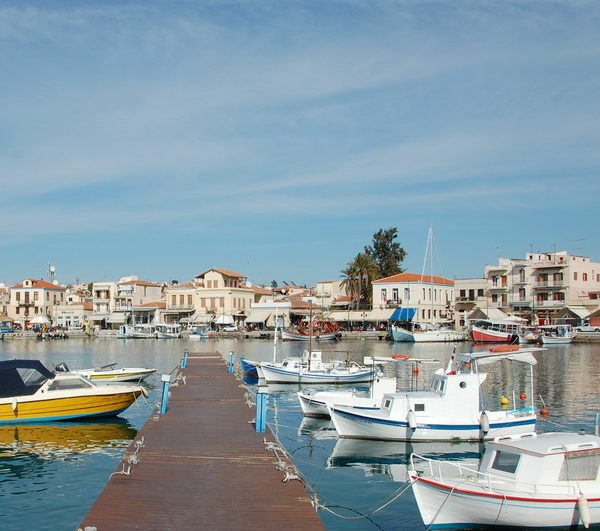 There are regular departures of ferries and hydrofoils from Aegina port.